Workers across Washington are speaking out about unpredictable, inflexible work schedules that are wreaking havoc on their lives. For some, the issue is getting too few hours. For others, it’s getting too many. And many workers deal with unpredictable schedules that change at the last minute. But they all have one thing in common: they’re dealing with employers who don’t respect their time or their lives outside of work. And they’re ready to speak out and call for a change. 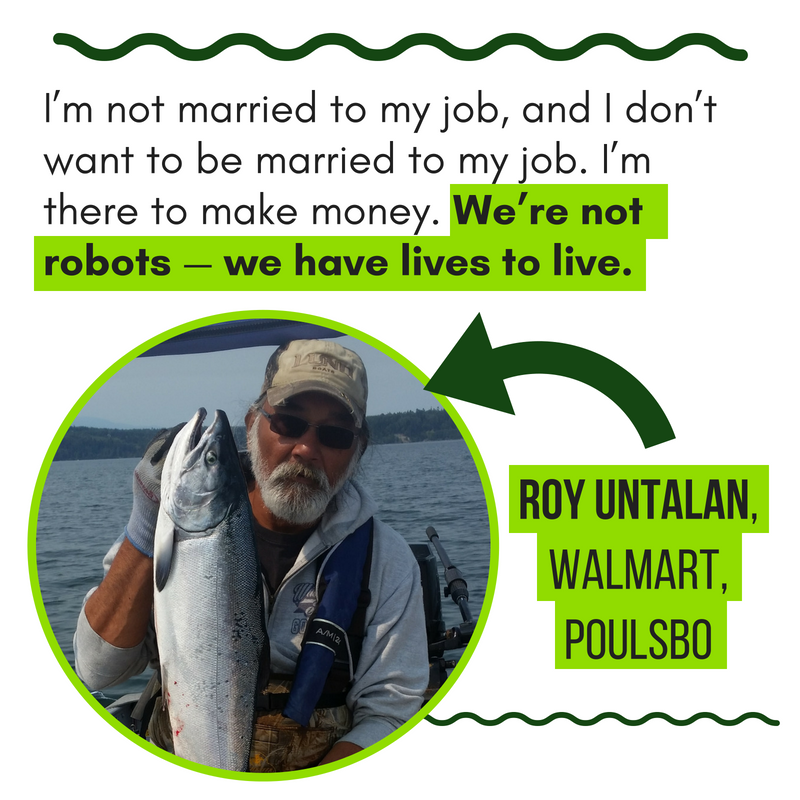 Check out the stories below to learn more about the issues affecting workers across, Washington, and then click here to let us know what’s going on with your work schedule. “I’m in school right now, and when I get a shift that’s in conflict with my school schedule, usually I get one of my coworkers to cover all or part of the shift. I've gotten close with a few coworkers specifically so we can help each other cover shifts when we need it. We can't rely on our schedule, so we rely on each other." “Last time I was at the mall, I was with my little cousins. We were watching a movie. I had my Chipotle clothes, my Chipotle shirt and stuff, in her little bag because I already knew that they might call me in. And then when I went home, he called me in. He just needed me there for an hour. Any of this sound familiar to you? Or are there issues you’re seeing with your schedule that aren’t represented here? Click here and tell us your story!